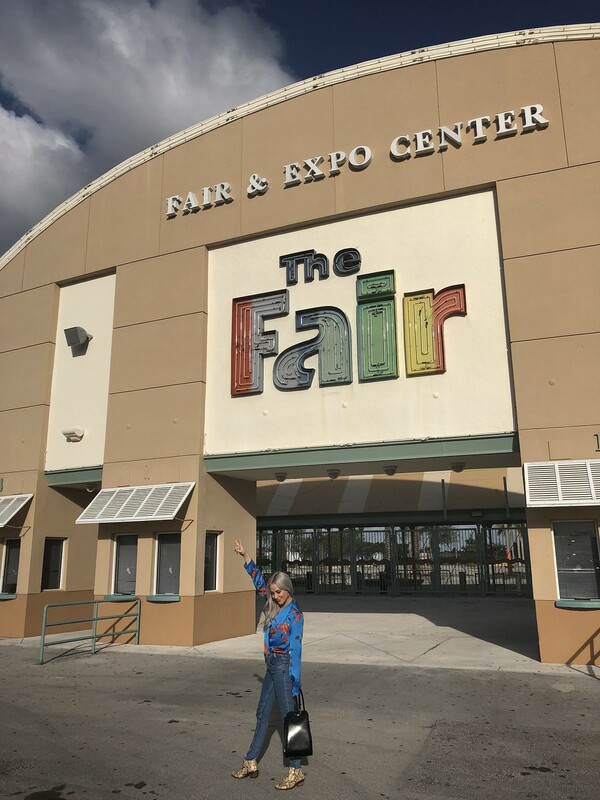 The Miami Antique Show’s final year at the Miami Dade Expo Center location. I will miss you rainbow neon sing. 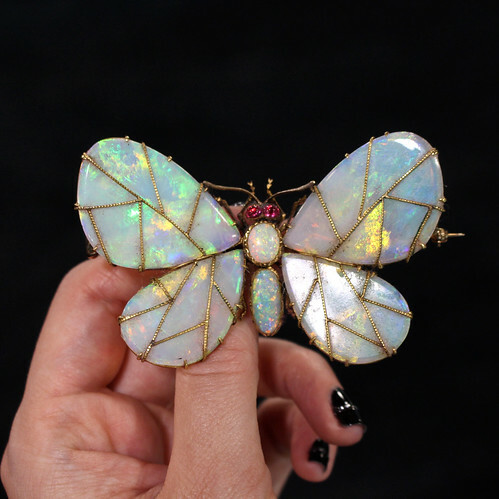 Two of my favorite pieces found at the show–this insane opal butterfly brooch from DK Bressler and this 5.52 carat stunner from Jim’s of Lambertville. These booths that force you to truly “treasure hunt” are my absolute favorite. 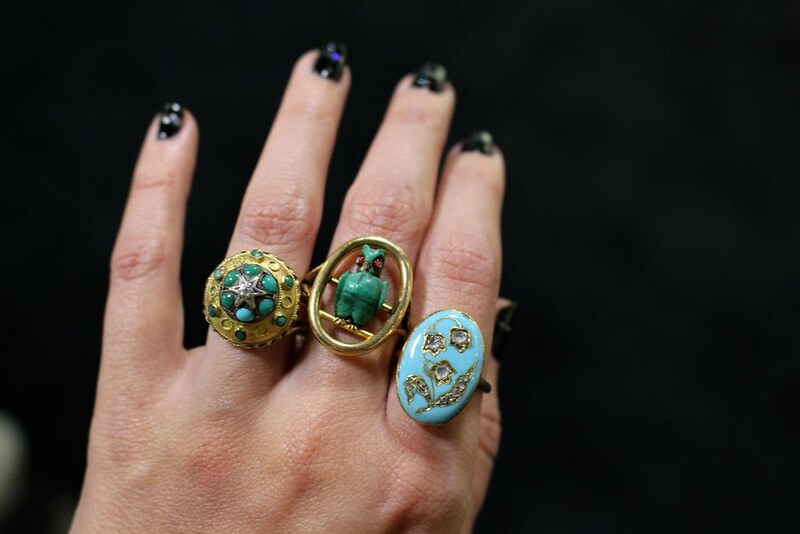 Mary Ann-tiques had some really amazing things; these three were my favorite! 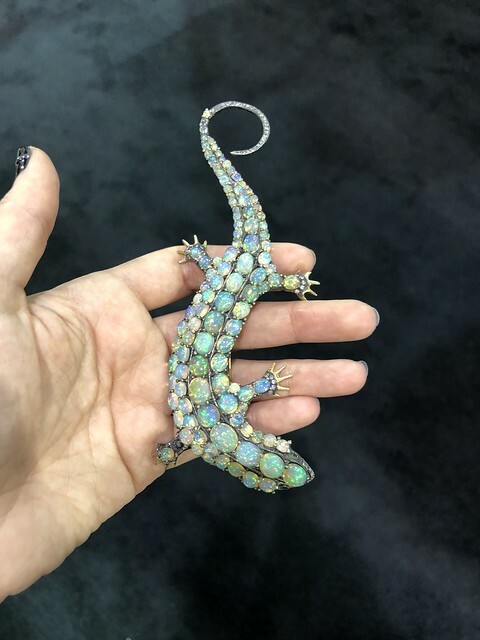 These two pieces just knocked my socks off–both involve opals and although extremely different, they still get the same amount of wow-factor. 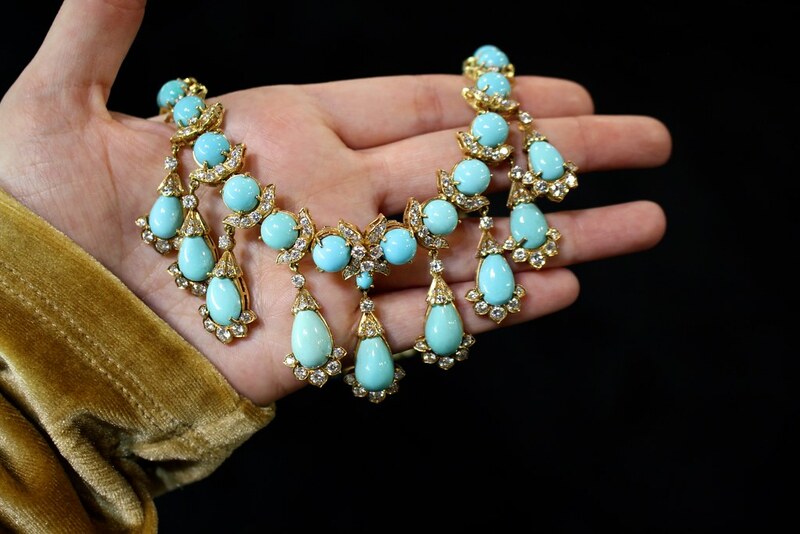 This turquoise and diamond necklace stopped me in my tracks — it is from OakGem. The piece on the left is from DK Bressler and should be in a museum somewhere in Europe. The piece on the right is from Ishy Antiques and I’m so happy I got to meet him finally as the show was his first US event. 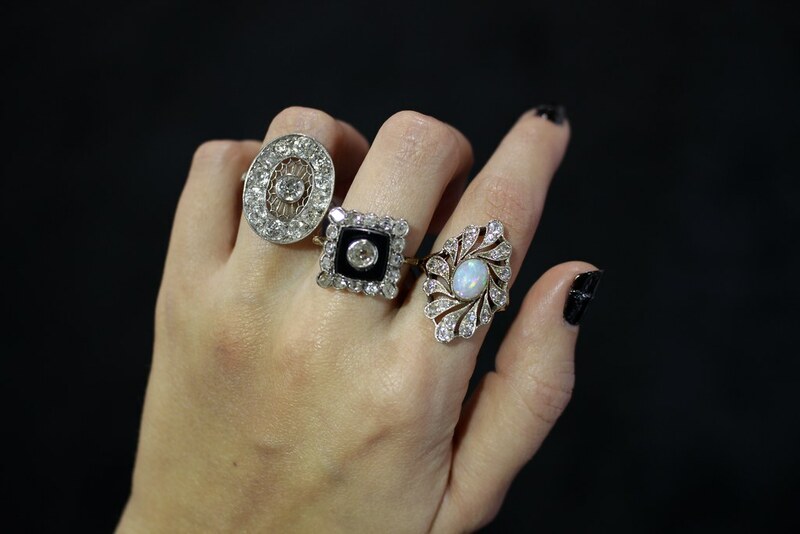 Three of my favorite rings from Poli Trading Company–the snake is to-die-for! 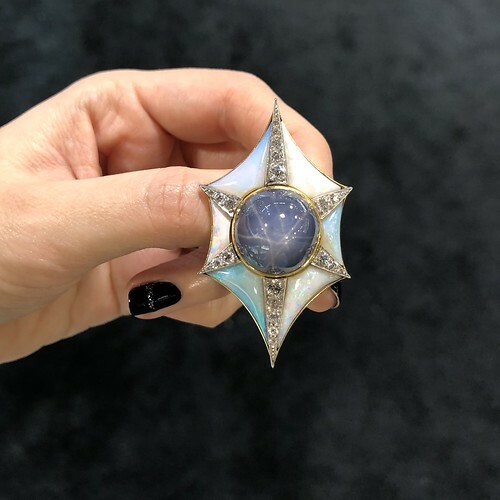 More favorites from DK Bressler, what a killer combo is opal + star sapphire?! I’m obsessed. 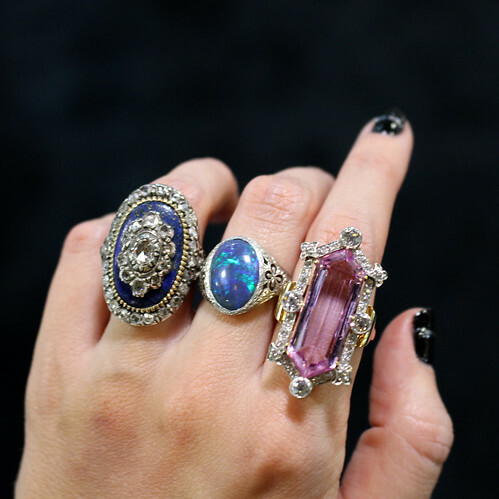 Excalibur Jewelry has way too much too choose just three, but I tried! 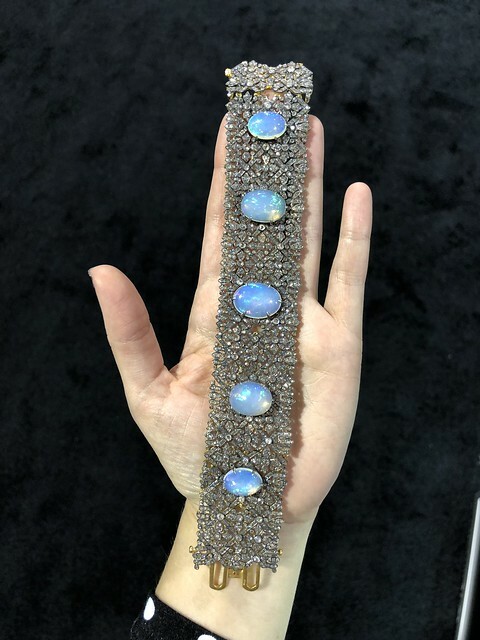 The pelican with an opal ball belly really grabbed my attention; so unique! 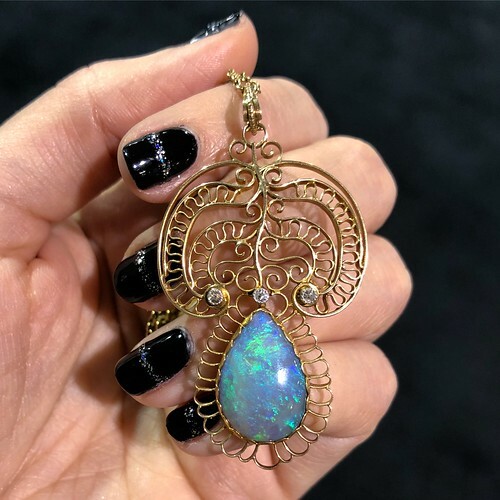 The opal pendant on the left is from Lenore Dailey’s booth, which wasn’t the same without her being there but I love that she has so much love and support. 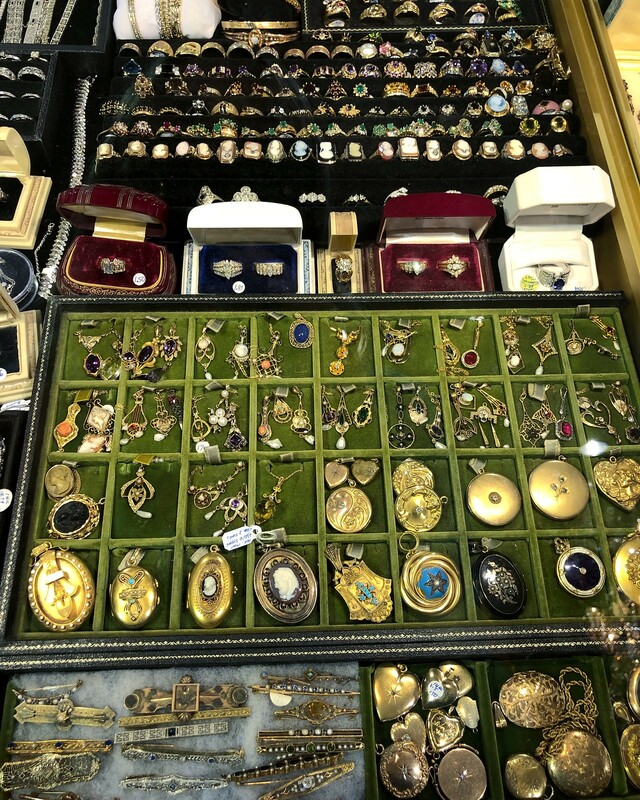 The ring tray at Geller & Co. was a feast for the eyes! 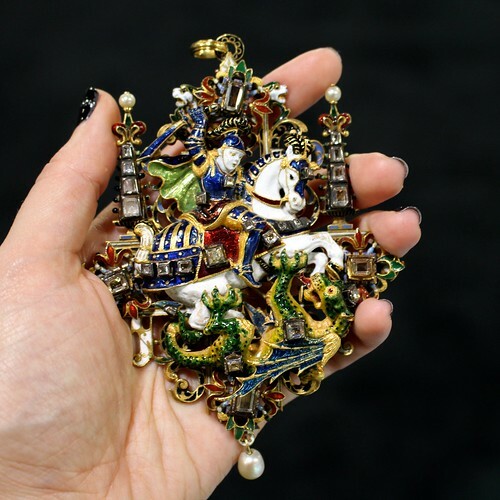 Gold Hatpin is always a hoot, literally, where I can’t seem to leave her booth empty-handed. 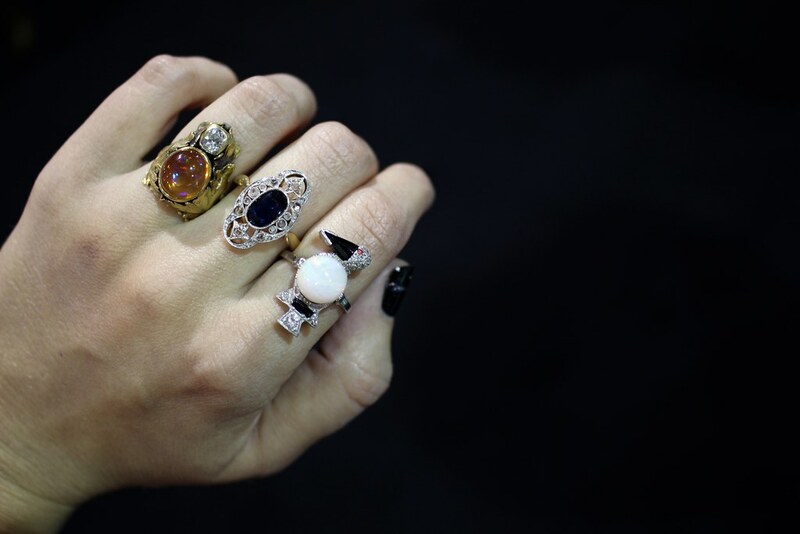 The owl ring caused quite a stir and I love the other two rings together too! I made sure to read my blog post from last year before I attended, because I knew I would need a refresher on where booths were located and the dynamic of the new location. Like I said last year, several people were disappointed with the layout and where they were placed, so a few favorites didn’t attend the show at all. To add to that, there were a lot of booths that were moved around, so essentially it was like attending the show for the first time all over again (I had to discredit all my memories). As much as we tried starting in one spot and walking from booth to booth, we did a lot of jumping around this year and missed quite a few people, but we saw so much in the short span of two full days at the show! I also ate the worst pizza I have ever tasted at the show lol but made up for it during some really great dinners with some amazing people. After having a successful holiday season with selling, I was able to buy more in Miami and for the first time I felt more like a buyer than a blogger. I haven’t carved this path as something I’ve wanted to do from the beginning; it sort of fell into place from me selling a lot of personal pieces and realizing I was onto something. 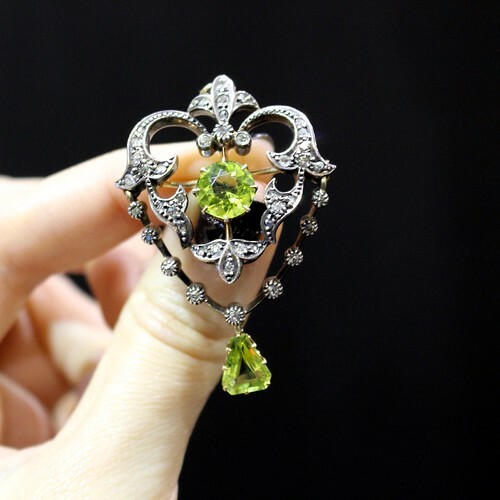 Whenever I would try to focus on writing new blog posts, I would unintentionally get swept up in listing new pieces and answering questions. I started to get really into it and every time I would mail out a package, it would bring me a different kind of joy that blogging didn’t fulfill. 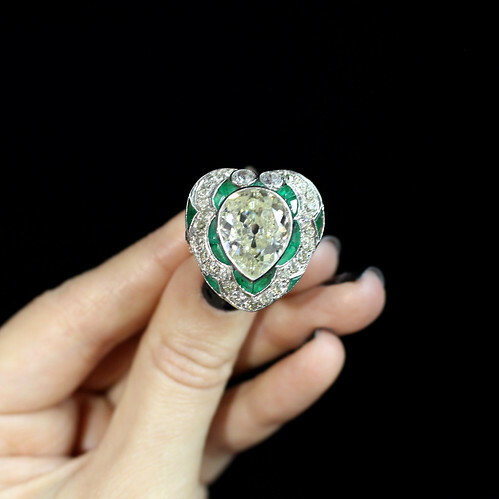 So, yes I will be taking my @shopGemGossip page more seriously this year by listing a new item everyday at 8:30pm CST. As for blogging, I’ve got a huge surprise coming up, so don’t ever think that I am putting that on the backburner–you’re going to love this new change. Be sure you’re following @shopGemGossip as I will be listing all 20+ items from my trip for sale. 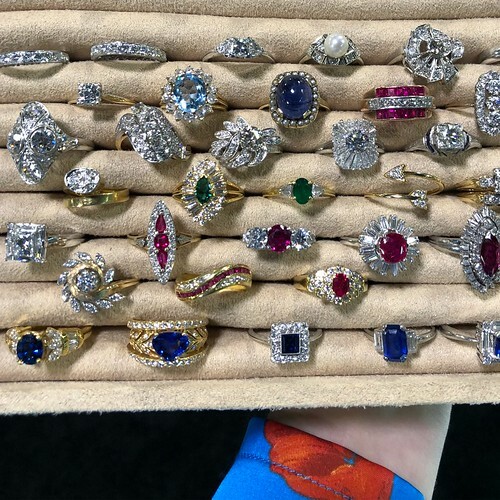 AND, you know I had to pick up something special for my personal collection, so I will be doing a My Jewel Box post and share my personal finds from both Tucson & Miami. I’m already excited for next year and looking forward to bringing the show back to the beach! !